Located south of the equator, Australia, the Island Continent, is bounded by the Indian Ocean to the west and Pacific Ocean in the east. It occupies cool temperate to tropical climates from 10° south to 43° south latitude and from 112° east to 153° east longitude, to the south of the countries of Indonesia and Papua New Guinea, and west of . In the southwest, the Great Southern Ocean receives the barest hint of the warm currents swept into the Indian Ocean from the equatorial waters of the Timor and Arafura Seas, which separates the northern Australian mainland from . are reversed to the northern hemisphere, and dress is standard for business, tending to comfortable and informal, with lightweight clothing suitable for most of the year, although southern states, highlands and desert regions can get below zero at night and during the cooler months. The national capital of is Canberra. There are six (6) states; Queensland (QLD), New South Wales (NSW), Victoria (VIC), Tasmania (TAS), South Australia (SA) and Western Australia (WA). The Australian Capital Territory (ACT) is now self administrating with it's own legislature. The Northern Territory (NT), despite being self administering, can still have its state laws overturned by the Federal Government. While NSW, VIC and QLD are rarely referred to in the abbreviated form in daily speech, you'll often hear references to "the Aay See Tee" (ACT), "Ess-Ay" (South Australia), "Double-yew Ay" (Western Australia) and "Tas-ee" (spelled Tassie, for Tasmania). The state capital of QLD - Brisbane, will similarly be abbreviated to "Bris-ee" for Brissie. Although they have local government elections, Lord Howe Island off the east coast of Australia in the Tasman Sea, is administered by NSW. The include Norfolk Island in the Pacific Ocean and the Coral Sea Islands Territory, the Cocos (Keeling) Islands, Christmas Island and the Territory of Ashmore and Cartier Islands in the Indian Ocean, which are are administered from Canberra. Australia's most southerly territories, Heard Island and McDonald Islands, along with Macquarie Island, are conservation zones, while the covers more than 30% of that continent, (which comprises 9.6% of the world's land surface area). 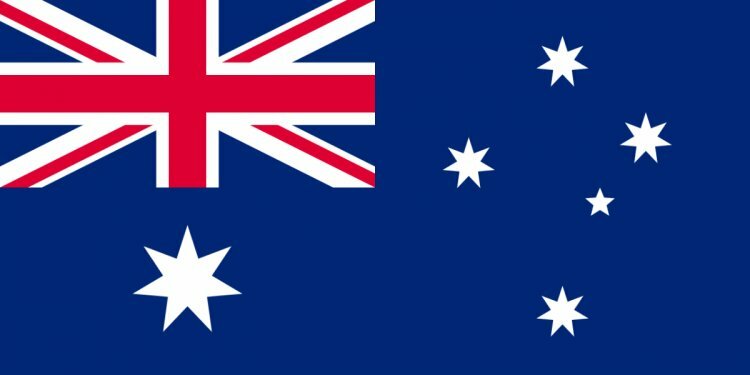 Australia has ; Australian Eastern Standard Time (AEST = GMT +10), Central (ACST = GMT +9 ½) and Western (AWST = GMT +8). The Eastern seaboard of Australia, is ten hours ahead of Greenwich Mean Time (GMT +10) from early April to early October (Autumn, Winter and Early Spring months). , with the exception of QLD and NT, observe Daylight Saving, advancing clocks by 1 hour, from early October to early April (mid Spring and all Summer), usually commencing and ending on the first Sunday of the respective months. In the eastern states (NSW, ACT, VIC and TAS) AEST becomes Australian Eastern Daylight Time (AEDT), and clocks are advanced one hour to GMT +11. In late Spring and all Summer, New South Wales operates on Daylight Saving (AEDT) and Queensland remains on Eastern Standard (AEST) Time, creating a one hour time difference. Visitors to our region: north east New South Wales - the Northern Rivers of NSW, and the Gold Coast region of SE QLD, should keep this in mind when touring the region and making appointments.